Growing up is tough. Especially for girls with changing hormones and complex social dynamics. Building self esteem is something that can and should be worked on daily. Doing so is easy and can become part of a routine with Dove Products. Plus, if you stock up at Rite Aid you can snag a bunch of deals. Post sponsored by Lunchbox. Opinions are 100% my own. My daughter is turning 11 this month. She’s in 5th grade and is really starting to come into her own. Thankfully she’s got a great attitude and doesn’t let what others think get in her way. She’s proud to be quirky. She’s always telling me, “Weird is the new compliment, Mom.” I freaking love it. We choose Dove products firstly, because we love them. Secondly, because they support such a great cause. The Dove Self-Esteem Project reassures girls that don’t need to change one thing about themselves. Watch this video to see what girls are really thinking about themselves. I know I always wished I had thicker hair. I make sure to remind myself not to think that way or let my daughter hear me say things like that. After all, I am perfectly fine being me. Thin hair and all. Support the Dove Self-Esteem Project and the mission to help girls build self-esteem and remind them they are beautiful just the way they are. Simply shop for your favorite Dove products at Rite Aid this month and you’ll save big. Plus check for coupons in your local newspaper for double deals. Do you have any tips on building self esteem? Always complimenting her brave decisions – It’s scary to be growing up. Listening closely to her. So much is just opening your ears aand closing the mouth. Kids have it tough and we forget to listen sometimes. I actually think older children need more time than a lot of younger kids. They are unsure, and they aarent confident. Tweens are in that odd place of not being a kid nor being an adult. These are great tips! She’s lucky to have a mom like you that encourages her and her individuality. It’s so important to ensure that our kids have high self esteem. This is a fabulous reminder of what’s important. I can’t even imagine how much pressure there must be on little girls these days. These are wonderful tips! I think the more we talk with our kids the more confident they become. I love this post and I know girls that could use a little of this to help them. I love Dove’s mission to change girl’s lives. I’m weird and it’s all good! Dove has always been a wonderfully supporting brand on the mission to empower women of every age. I think supporting brave decisions is one of the most important tips up there! Your tips are great. In today’s world building self-esteem in our girls is important. I listen to what they have to say and have discussions about what is going on in their life. I totally agree….compliment her on her strong decisions and choices, and definitely let her pick out clothes she is comfortable in and feels confident in. Nothing will boost confidence more than liking what you dress in! Oh and washing your face daily is a much! I have two daughters who are seriously having self esteem issues so I’ve been really working with them on it as hard as we can! It’s awful. These are some great ideas. I have two daughters of my own and I want to make sure they never have any self esteem issues. I would love for them to be who they are and not care what anyone else thinks. I know it can be hard in school. I always talk to them if they’re having any troubles. Self Esteem is such a hard thing for young girls! I love the idea of teaching healthy habits – I feel like when I’m eating healthier, I feel better about myself. I have been using Dove products for years. They have a great campaign for women. It is so important to teach kids to have self esteem. This is such an important message to get across these days. I think it’s awesome that your daughter is proud of her quirks. This cannot be stressed enough. It is so important that we build the self-esteem of our daughters so they go out into the world to become tomorrow’s leaders, scientists and doers on an equal par with men in status and compensation. 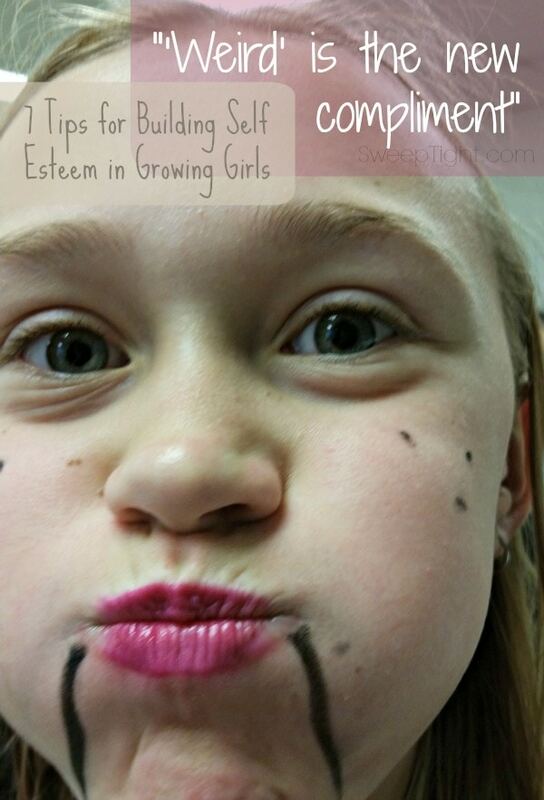 We need to encourage girls to be themselves, not try and bully them into “fitting in”! Every girl is unique and beautiful and deserves to be treated that way! I love that you mentioned complimenting her brave decisions. I always love to point out the things my daughter is good at. I did not have any ositive role models when I was growing up. Now I am an insecure adult. I am determined not to have my kids turn out like I did. I wish this campaign existed when I was younger. I was always so self conscious.